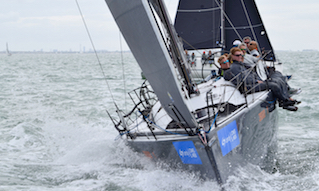 Cowes has been a magnet for yachtsmen for almost 200 years and is rightly famous for hosting many of the world’s most prestigious sailing events. But it is also a gateway to an Island that is breathtaking in its beauty, fascinating for its history and beloved by many as a destination for holidays, short breaks, and day trips. Within an area of just 147 square miles the Isle of Wight has over 500 miles of coastal path, bridleways and cycle tracks, which are superb for those looking for a more adventurous holiday. Over half of the Isle of Wight is designated an Area of Outstanding Natural Beauty and there are almost 30 miles of ‘Heritage Coast’, a designation applied to coastlines of only the highest quality in England and Wales. The diversity of this unspoilt landscape makes walking a real pleasure with more miles of footpaths and bridleways than roads! Discover the panoramic views from high up on the Downs, much of which are now cared for by the National Trust, the tranquility of ancient woodlands, the pretty farms and villages nestling in valleys and the many miles of stunning, unspoilt coastline. It’s here on the Isle of Wight that the world’s first festival devoted entirely to walking was held. 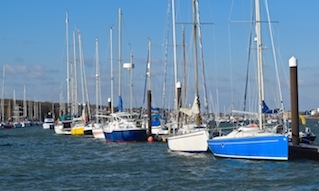 The Medina Estuary Circular Walk is a popular 9 mile walk between Cowes, Newport and East Cowes, which can be completed in around four hours at a fairly brisk pace. 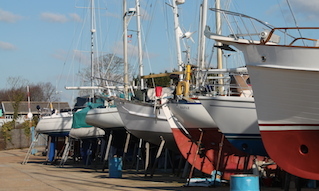 The route consists of public footpath, cycle path and roadside pavement, but there are a few stretches around Newport Quay and north of Whippingham Church that have no pavement. 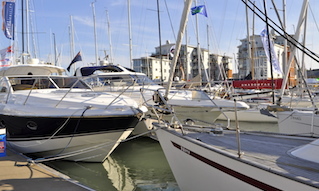 If you wish to do the circular walk, we recommend downloading the Medina Estuary Circular Walk leaflet, or picking up a paper copy from Cowes Harbour Office. Over 200 miles of bridleways, cycleways and byways are accessible to cyclists, with some routes suitable for novice riders and family groups, whilst others are longer and more challenging. 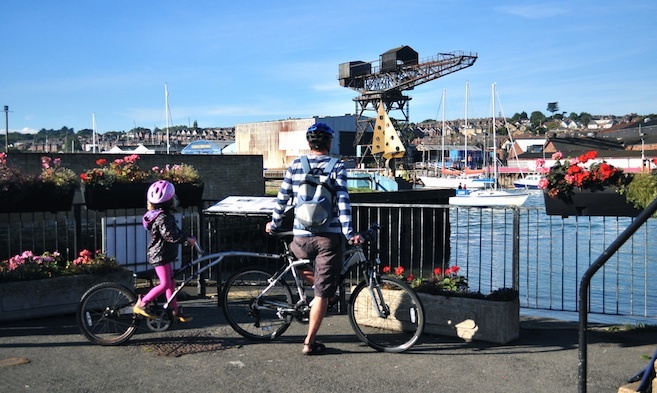 You can hire a bicycle in the centre of Cowes and access the cycle path to Newport, for example, from Arctic Road. 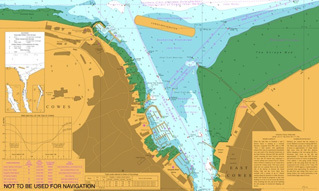 View a map of Cowes and East Cowes. The full 62 mile round the Island cycle route is a great way to experience the variety and diversity of the Isle of Wight, from high chalk cliffs to wooded estuaries. The well-signed route uses mostly quieter roads and can be completed in a day. Follow the white bicycle for the clockwise route or the blue bicycle for the anti-clockwise route.